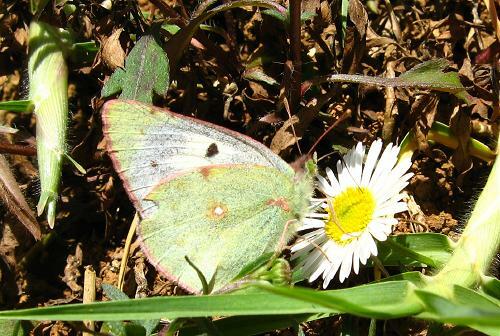 This was the first Nilgiri clouded yellow I saw - at Ooty, in the Nilgiri Hills, the day we arrived. I had particularly wanted to find the species as it is endemic to the region and the Nilgiri Hills have special associations for me. As it turned out, it was quite a common species there, though never easy to photograph. 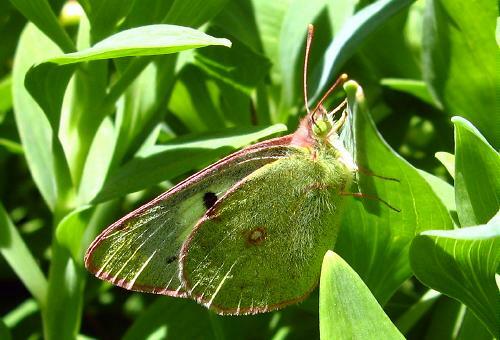 This is another female, showing better the rather elongated shape of the forewings, characteristic of this species and its close relatives. 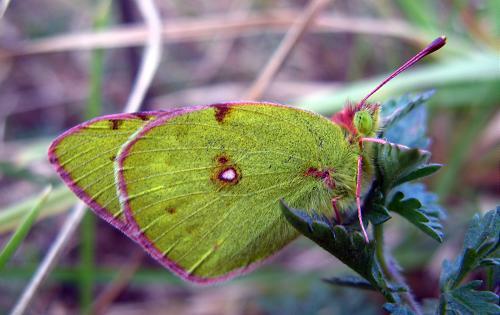 It is the same shape as Colias erate, the Eastern clouded yellow, considered by some to be the same species. 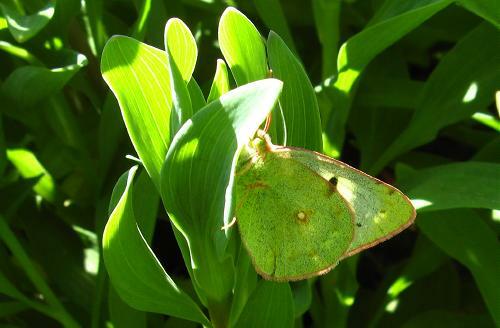 This is a third female, taken in bright morning sunlight in Ooty. Finally, this is a male rather late in the evening on a cloudy day - not good for photography but good for being able to get close to these very mobile butterflies. It was resting in a churchyard.